Grosvenor Hotel is the HOT SPOT for the Schoolies Party! Categories: Schoolies 2018 (SOLD OUT), Victor Harbor. Tags: Schoolies, Schoolies 2018, Victor Harbor. When you book an Official Sure Thing Schoolies package, already included in the package is the entry to 3 Awesome DJ Parties at the Official Sure Thing Schoolies Party Zone. This includes awesome DJs, Games, a Free Sausage Sizzle and heaps more. Sure Thing Schoolies gives you the Ultimate Schoolies experience for Victor Harbor Schoolies 2018. Q) What is the Grosvenor Hotel Like? The Grosvenor Hotel is awesome and is the Ultimate Beer Pong and Party venue for Victor Harbor Schoolies located right smack bang in the heart of the action and 150 metres from McDonald’s for all your $1 late night burger snacks!. Schoolies from 2017 had a blast as they got their stereos pumping out the tunes and were playing endless games of Beer Pong on the massive wrap around balcony that overlooks the streets of Victor Harbor. They created the best memories to last a lifetime. The Grosvenor Hotel is the perfect location (right at the beach and in the centre of the action). There is no time wasted travelling as you are in the thick of the action already. 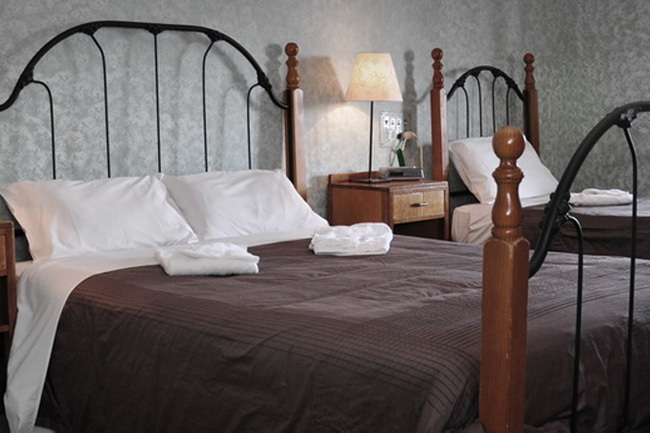 The rooms are large and spacious and there is a free daily continental breakfast included in the package. Plus when you book with Sure Thing Schoolies you get exclusive entry to 3 Sure Thing Schoolies parties including DJs, sausage sizzle, games, other freebies, Sure Thing Schoolies Caps, Sure Thing Schoolies Lanyards and heaps more. Q) What events or activities the Schoolies can expect if they are under 18? Q) How many people go to Victor Harbor for Schoolies? A) Thousands, and growing. New bookings are made daily. Q) Is alcohol permitted at Schoolies? Q) Do we have the Freedom to explore and enjoy the rest of Victor Harbor? A) Yes. We understand that you want Freedom at Schoolies. You have the freedom to explore the beautiful Victor Harbor area and experience the local culture. You can go shopping, do tours and activities as you wish. A) Your group will get a room allocation and you can decide where you sleep on arrival. Q) Is there a Curfew? A) No. You don’t have this restriction at Sure Thing Schoolies accommodation. Q) What’s the food like in Victor Harbor? A) Enjoy the amazing food available in Victor Harbor. It’s best to get your food on-site so you can eat with all your mates. There are daily Sausage Sizzles + some packages include breakfast as well! Plus McDonald’s, Subway, supermarkets and everything else you need is close by. Q) Is Victor Harbor suitable for people with dietary requirements such as vegan or vegetarian? A) Yes. You are very likely to find multiple options for your dietary requirement, ensure you make your requests. Q) What Time Zone is Victor Harbor in? A) Check-in starts from 2 pm onwards. If you get there before 2 pm you may be able to leave your bags at reception whilst you explore the area. There may be many people checking in at once, so keep in mind that you may not be able to check in at exactly 2 pm. The whole group should check in together all at once. As for Check-out, you must vacate your room completely by no later than 10 am on the day of departure. Q) Is it safe to attend Schoolies? A) Yes, it is! In over 10 years, Sure Thing Schoolies is the Schoolies provider with the 100% safety record. Also, Local Police and about 500 local volunteers take care of overall safety and smooth running of things and they do an incredible job in keeping Schoolies safe year in and year out. In addition, all Sure Thing Schoolies partners have undergone accommodation approvals and safety checks have been arranged for Schoolies accommodation prior to the event to ensure that quality control standards are at the level expected at Sure Thing Schoolies venues. This provides extra peace of mind, giving Schoolies and their parents further reassurance of the Sure Thing quality seal of approval. Sure Thing Schoolies are the ultimate party people whilst maintaining a 100% safety record year in and year out. Q) We’ve heard that Sure Thing Schoolies is awesome, is this correct? A) Yes, it is as Sure Thing Schoolies is the Ultimate Schoolies Party People that know how to help Schoolies have the best week of their life whilst keeping them safe at the same time.